The $5 gold coin, also known as the half eagle, was authorized by the Act of April 2, 1792 and was first struck in 1795 and became the first official gold coins to be produced for the United States. 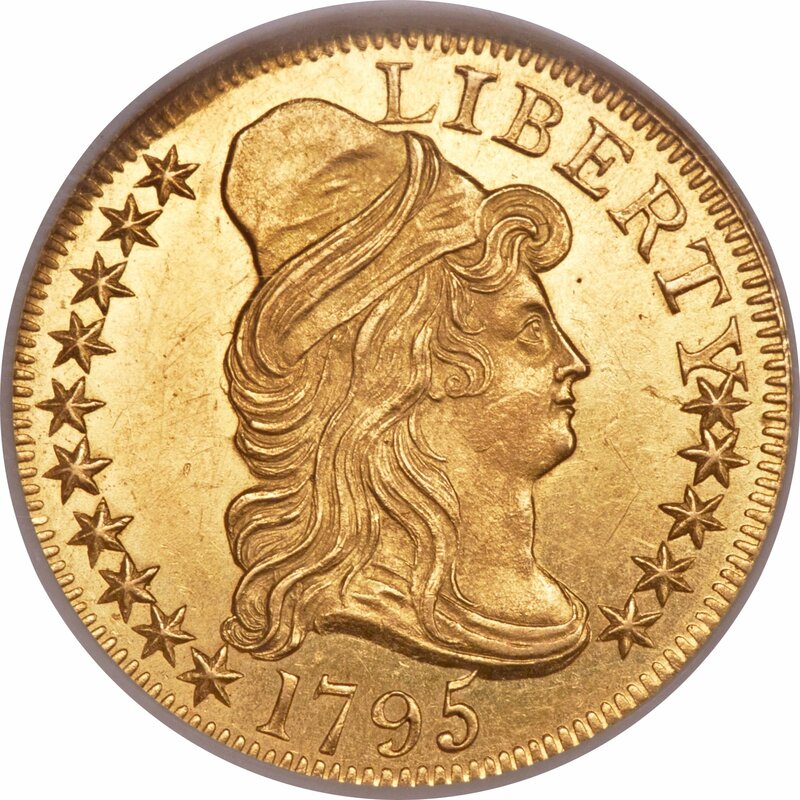 The Capped Bust to Right motif was designed by Robert Scot and became the first $5 gold type coin. While the Capped Bust obverse remained in use until 1807, the reverse was modified from a small eagle design to heraldic eagle during the first year of issue. All Capped Bust to Right half eagles are rare, but among the rarest of these is the 1798 Small Eagle, with jus six specimens known and recent auction records well into the six figures for any of these. The Draped Bust to Left $5 gold coin designed by John Reich followed beginning in 1807 and was produced for a few short years until 1812. Most issues and their varieties are about as scarce as the next within this series, with the notable exception of the 1810 Small Date, Small 5 and 1810 Large Date, Small 5; the latter is scarcer than the former, and both issues command solid five-figure prices even in the lowest grades. In 1813 came the Capped Head to Left $5 gold series, which spanned until 1834 and spawned several rarities. The highlights of this series include the famous 1822 half eagle, which has just three known survivors; just one of these is in private hands and last sold in 1982 for $687,500 ? then nearly a world-record price for any coin. The last of the $5 early gold coins is the Classic Head, No Motto by William Kneass. These pieces are, of all early gold half eagles, the most affordable with the majority of issues trading for less than $1,000 in the lower circulated grades. The 1834 Crosslet 4 is a four-figure variety, and the 1838-C and 1838-D issues, among the first from the Charlotte and Dahlonega Mints, respectively, are generally the most expensive issues of this series.